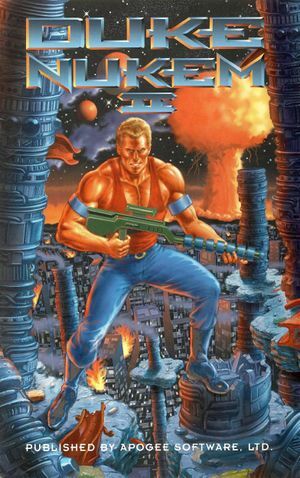 Sold separately or on the Duke Nukem 3D disc. Use DOSBox. Set cycles=20000. Max cycles causes joystick control problems. A Level Editor is available. It requires XP or later. Saves are NUKEM2.-S* 1-8. NUKEM2.-SB and NUKEM2.-ST are temporary saves. Game runs at 16 frames per second. 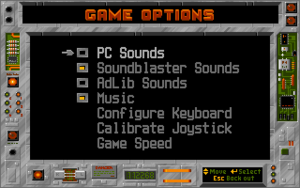 On/off only; toggle sound with S and music with M.
These are the system requirements for the Steam version. ↑ 2.0 2.1 File/folder structure within this directory reflects the path(s) listed for Windows and/or Steam game data (use Wine regedit to access Windows registry paths). Games with Steam Cloud support may store data in ~/.steam/steam/userdata/<user-id>/240180/ in addition to or instead of this directory. The app ID (240180) may differ in some cases. Treat backslashes as forward slashes. See the glossary page for details.